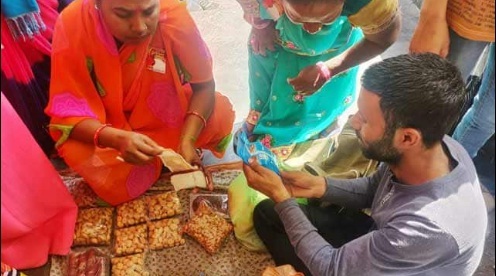 LUCKNOW: Two days after they were beaten up by men armed with sticks, saffron kurtas and nationalist slogans simply for being from Jammu and Kashmir, the dry-fruit sellers are back on the streets of Lucknow with their wares. Though they are not back at their usual spot in Daliganj, they had no dearth of customers today at a makeshift market organised by the All India Democratic Women’s Association or AIDWA. They hope to return to their area tomorrow. “The police helped a lot,” Abdul Salaam, one of the traders who were attacked, told NDTV counting money at his stall on the pavement. But along with the sense of gratitude for the support they have received since the attack, there is also a quiet realisation of why the things happened like they did. “This happened because of Pulwama [terror attack]… one fish dirties the entire pond. We are at Bareilly first and driven out of there. But in Lucknow we have always stood up for us,” Khurshid Ahmed, who too has been coming to Uttar Pradesh from Jammu and Kashmir for nearly two decades. The attack, that left 40 troopers of the Central Reserve Police Force last month, was claimed by a Jaish-e-Mohammed terrorist who was a local resident. Since the attack, there has been a wave of hate crimes against Kashmiris, fronted by right-wing groups, who have assaulted, abused and led social boycotts. The Supreme Court had asked the centre and state governments to ensure Kashmiris were not persecuted. Speaking out more than a week after the attacks began, Prime Minister Narendra Modi said specific incidents were “not the issue” but people from Kashmir must not be harmed. But on Wednesday, a group of men, attacked the Kashmiri traders in Lucknow, abusing them and calling them stone-throwers before being stopped by local residents. Five people have been arrested for the attack. Previous articleMiG-21 crashes in Rajasthan, pilot safe. Next articleWe are still seeking international ban on Pakistan: BCCI.